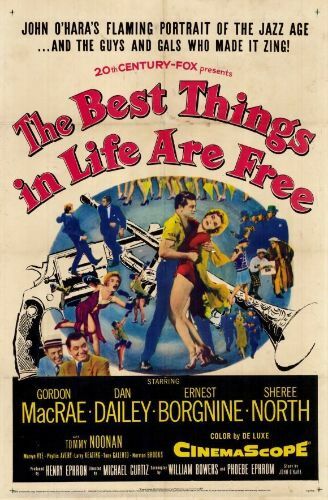 The Best Things in Life are Free is the tuneful if uninspired life story of popular composers DeSylva (Gordon MacRae), Brown (Ernest Borgnine) and Henderson (Dan Dailey). 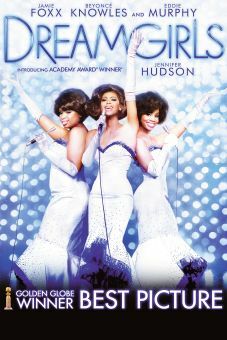 Pooling their talents, the trio rises from Tin Pan Alley to fame and fortune. 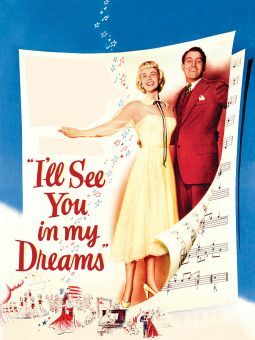 The team's future is threatened when Buddy DeSylva becomes a big-time movie mogul, his ego expanding with his new responsibilities. 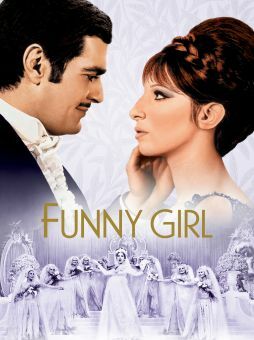 But there's a happy ending, replete with a big, blow-out production number. 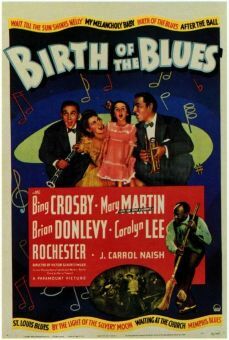 Highlights include Sheree North and Jacques D'Amboise's dance deut to the tune of "Birth of the Blues"; this was North's first opportunity to play something other than a Marilyn Monroe type, and she acquits herself quite nicely. 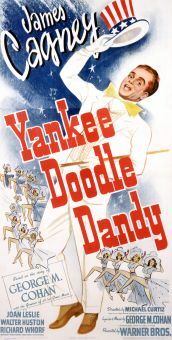 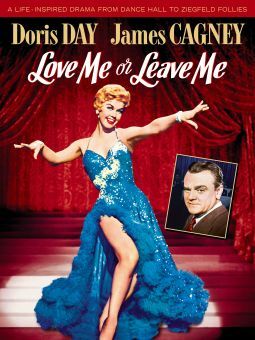 Other DeSylva-Brown-Henderson songs showcased throughout the film include "Button Up Your Overcoat", "Black Bottom", "Sunny Side Up" and the title number.